Mission: Crosshatch Center for Art & Ecology builds strong communities through the intersections of art, farming, ecology and economy. Crosshatch Center for Art & Ecology helps people become native to place by supporting artists — visionaries, conceptual explorers and compelling communicators — with dedicated time, space and resources to create new work; restoring the old and developing the new skills and traditions of community self-reliance; creating and sharing a broad collection of tools for ecological living. East Jordan is a small town near the 45th parallel in Northwest Lower Michigan, about an hour’s drive from Traverse City. The Hill House is located about 15 minutes from East Jordan on a back road near the Mackinaw State Forest. The State Forest offers opportunities for canoeing, hiking, birdwatching, morel hunting and fishing, while nearby towns offer art galleries, microbreweries, parks and dining. Expect a quiet, isolated space punctuated by loon calls and the occasional coyote howl. Also expect the sound of hunters’ rifles, and limited access to the woods, from Nov 15 to Dec 1. The area offers very little in terms of public transportation. A car is required in the winter to get to town. Even with plowing, however, a car without 4WD may not be able to navigate the steep road to the house during the thick of winter. We can assist in moving your things in and out of the space, but you may need to walk a few hundred yards to a separate parking area during the deepest snowfall (Dec to Feb, typically). This winter residency is for the hardy! Cost: While there is no additional cost to you, you will still need money for incidentals, materials and transportation to and from the residency. Also consider indirect costs: time away from your job and paying bills at home while you are in residence. Accommodations: A semi-secluded log cabin near East Jordan, Michigan. It includes a well stocked kitchen, a selection of instruments and some basic recording gear, as well as opportunities for community exchange through performance, readings and workshops (only at your request, of course). The emerging musician residency also offers a small stipend to aid in your professional development. 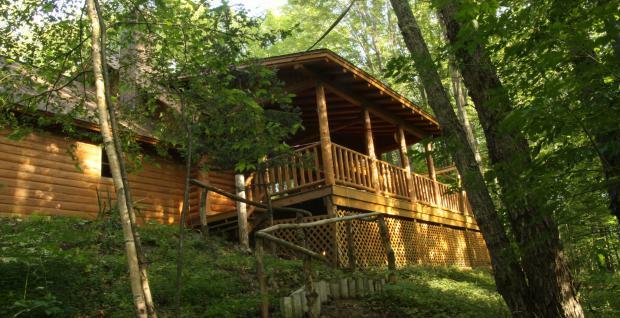 The Hill House is a two story log cabin. It has two bedrooms, two bathrooms, a large unfinished basement, a spacious back porch, washer and dryer and electric heat. The Hill House can potentially accommodate up to four people at a time (one queen sized bed, two single beds and one pull out couch). The house is not ADA compliant, and is not accessible by wheelchair. A phone is available for local calls. Many cell phones do not receive service here. Wireless internet access functions about 95% of the time. The house does not come with a computer. Smoking is not permitted on the property. One dog or cat is allowed but must be leashed when outdoors. No exceptions to these rules, sorry! Musicians, there is not a recording studio at the Hill House, and the residency is not designed to support recording your album. There is, however, a selection of consumer level instruments and basic recording gear available for your use while in residence, including a digital 10-track, piano, telecaster, electric bass and keyboard. Writers, a printer and paper is available for you, but you will need to bring your own computer. Demographic/Medium: Musician, Writers, Visual Artists and Theater/Dance/Performance Artists. Artists age 21 and older from anywhere in the world may apply. Solo artists as well as collaborating teams of up to four people may apply (but note the accommodation information above). Benefits: You have the opportunity to create your own level of engagement with the community. If you desire four weeks of total solitude, it’s yours. If you’d prefer to have dinner or drinks with Crosshatch staff and area artists, we can arrange that too. You can spend a weekend touring local galleries and watching or playing live music, or you can sit on the back porch and not speak to a soul. It’s your choice, but keep in mind that community engagement will require more energy on your part; solitude comes naturally here. Posted in ISLAND Artist Residency, MichiganTagged application fee, Art, art galleries, art residency, Artist Residency, arts, basic recording gear, Bellaire, birdwatching, broad collection, canoeing, collaborating, collaboration, communicators, community, coyote howl, creating and sharing, Crosshatch Center for Art & Ecology, dining, East jordan, ecological living, Ecology, engagement with community, explorers, fishing, Heartland, hiking, instruments, island, ISLAND Artist Residency, kitchen, local galleries, log cabin, loon calls, Mackinaw State Forest, Michigan, microbreweries, morel hunting, musician, musician residency, native, native to place, Nature, new skills, no cost, non profit, non-studio artists, Northwest Lower Michigan, Old, Parks, Performance, Rate My Artist Residency, Readings, resources, rifles, self-reliance, small stipend, snow, Solitude, songwriters, space, Stipend, supporting artists, The Hill House, time, traditions, Traverse City, visionaries, workshops, WritersBookmark the permalink.